The situation seems to have started with tweets about a conversation between some Minecraft server owners and Minecraft developers, where a developer pointed out that charging money for gameplay features is technically not allowed under the game's license agreement. This resulted in many many posts talking about how this was the end of Minecraft servers. Mojang released a blog post last Thursday on the topic, and another one with an FAQ that further explains the situation today. It clearly lays things out: You cannot charge money for gameplay elements of Minecraft. That may seem obvious, so why was this so upsetting to everyone? There are a lot of amazing Minecraft servers that do everything from replicate other games to create entire new games. Some servers also run the vanilla game, but for hundreds of people at a time. Most of these servers cover costs with some kind of donation feature, as well as often selling in-game abilities, commonly referred to as "ranks". Ranks can be anything from the ability to kick someone off the server to let you join when it's full to the ability to fly or summon restricted items like TNT. What Mojang has stated in their recent updates is that the only things you can charge for are entrance to the server and cosmetic features that don't affect gameplay. The basic idea is that even if players have to pay to join your server, once they're in, everyone should have the same gameplay experience. Some of this is obvious. Mojang doesn't want people charging money for a server with the Minecraft name on it, just to find out that they have to pay extra to get access to the best items. Yes. It doesn't make a difference who made the mods, or how they were implemented onto your server. All mods require Minecraft to run. 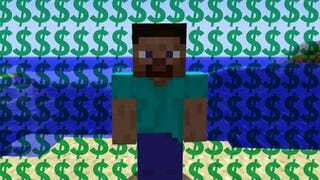 You are not allowed to charge for Minecraft features which affect gameplay. The posts state that server owners have until August 1st to start to comply, and it's up to server owners to decide how to compensate customers who have previously purchased perks which are not allowed. I've reached out to Mojang for comment about how they plan to enforce these rules, and will update the story when they reply.